The law firm of Hayes, Harkey, Smith & Cascio, L.L.P. ("Hayes Harkey") was founded in 1952, when Thomas M. Hayes, Jr. and Haynes L. Harkey, Jr. formed a partnership in the general practice of law. Over time, their partnership evolved into a leading law firm in Louisiana, focusing on litigation involving insurance issues, products liability, and professional liability matters. With the addition of attorneys over the years, and now maintaining offices in both New Orleans and Monroe, the practice of the Hayes Harkey firm has expanded to include a full service defense litigation and commercial practice. Hayes, Harkey, Smith & Cascio, L.L.P. The lawyers at Hayes Harkey have experience litigating a variety of matters including insurance defense, insurance coverage questions, products liability, professional liability (lawyers, doctors, dentists, hospitals, nursing homes, behavioral health units, accountants, contractors, architects, etc. ), worker's compensation, health care issues, municipality law, corporate litigation, and bankruptcy. The firm also has two certified mediators and arbitrators. The work of the attorneys at Hayes Harkey shaped many of the laws and jurisprudential precedents related to insurance defense, products liability, professional liability, and municipality law. The Hayes Harkey law firm is devoted to the service of its clients, many of which have remained with the firm for over 60 years. As the needs of clients have changed, the Hayes Harkey firm has also changed in order to provide unprecedented service to its clients. 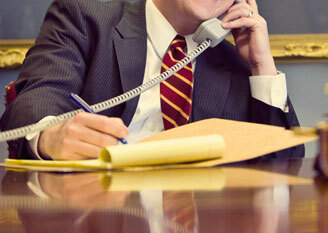 The interests and priorities of the firm's clients remain paramount to the firm's objectives. The Hayes Harkey law firm has received the highest ratings available from its peers with regard to competency and professional ethics. The firm is AV rated by Martindale Hubbell. Attorneys of the firm are active in the Louisiana State Bar Association, American Bar Association, Federal Bar Association, Louisiana Association of Defense Counsel, Defense Research Institute, Association of Defense Trial Attorneys, International Association of Defense Counsel, Association of Insurance Attorneys, Federation of Insurance and Corporate Counsel, American College of Trial Lawyers, Louisiana Law Institute, American Health Lawyers Association, Louisiana Hospital Attorneys Association, Attorney Mediators Institute, and American Bankruptcy Institute. All of the attorneys work together and share their vast experience and knowledge to ensure that clients of the firm receive the deserved and necessary representation to achieve the desired results.